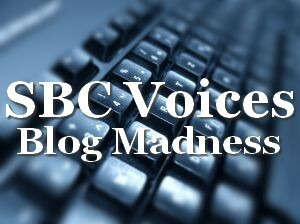 Thanks to your faithful voting I've somehow made it through to the Final Round of the SBC Blog Madness contest. If you could help me out by running over and voting for me, I would really appreciate it. I am up against some significant blogs, group blogs none-the-less, which means that there are a large number of folks to campaign for their votes. ;-) Thanks so much for helping me out!